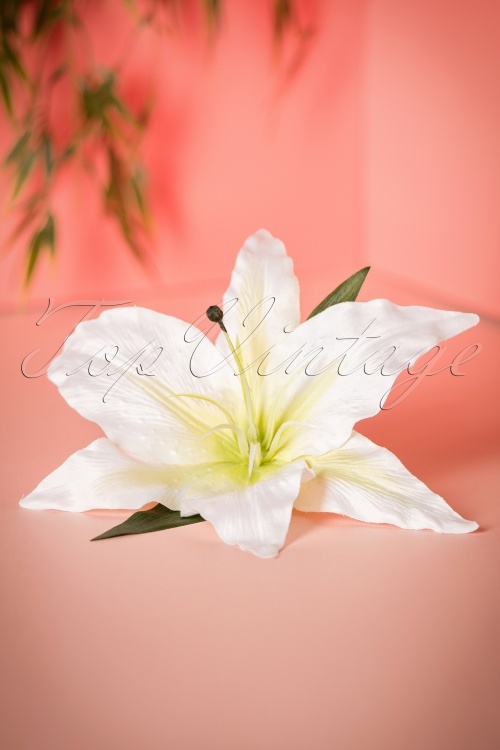 This 50s Ava XL Hair Flower brightens up your entire outfit! Imagine this, on holiday in a super exotic place you find the most beautiful big flowers. What should you do?... wear them in your hair of course! The same goes for this big beauty. 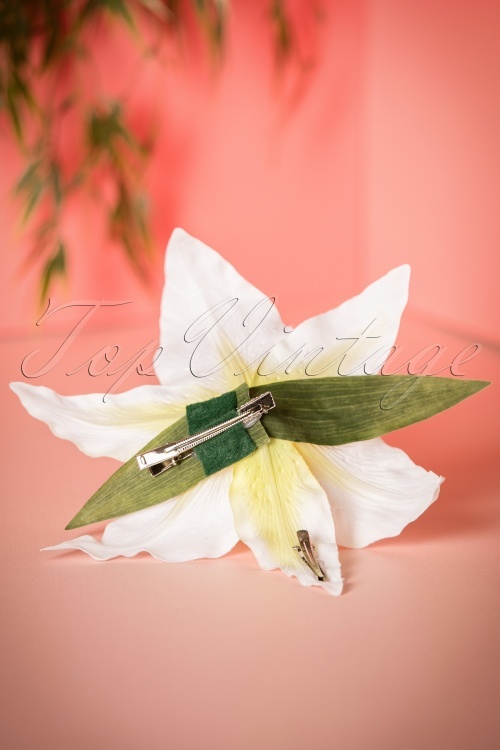 And to make it more easy, this tropical white paradise flower features an extra silver toned metal clip so you can also wear her on your clothes. So wherever you go, make sure to wear a flower in your hair!